Discover all homeopathy remedies against anxiety. 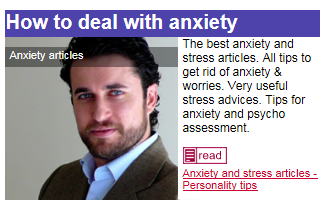 Reduce anxiety. How it works the homeopathy? Homeopathy is marketed as a safe, natural and holistic treatment for a range of ailments and illnesses, including arthritis, asthma, depression, eczema, diarrhea, hay fever, headaches, insomnia and toothache. Homeopathic products and services have become a large industry. In USA, 56% of Americans use homeopathic medicinal products. Homeopathy is based on two beliefs: like cures like; and the smaller the dose the more potent the cure. First, homeopaths choose a substance that causes the same symptoms as the disease they want to treat. For example, the runny nose and watery eyes of a cold can be recreated by inhaling onion fumes, so onion juice can form the basis of a homeopathic preparation. Second, the chosen substance is repeatedly diluted and shaken (also called succussed). This is supposed to reduce the substance’s potential to harm, and also make it more effective. 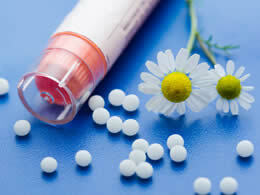 Homeopathy treats anxiety from a completely different angle trying to address the deeper causes of the disease origin. Rather than artificially increasing serotonin levels in the brain, it addresses the underlying problem, having caused the central imbalance within you. It can be very successful in addressing both anxiety and depression, making you long term independent of drug (herbal or conventional) treatment. Anxiety and depression are very common today and depression affects 40% of the entire population every year with 20% of us developing clinical depression – low mood with sleep difficulties, changes in appetite, hopelessness, pessimism and sometimes thoughts of suicide. Last year alone 36 million prescriptions for antidepressants were handed out. 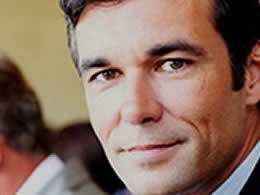 Homeopathy for anxiety, all treatments! ♣ ACONITUM NAPELLUS: Anxious & fearful. Suffers panic attacks in crowded places where they can’t quickly get out. ♣ AMBRA GRISEA: Anticipatory anxiety in those who are shy and easily embarrassed. Dreads the pressure of performing in front of others—at an interview, oral exam, social event etc. ♣ ANACARDIUM ORIENTALE: Extreme anticipatory anxiety with difficulty concentrating in those with low self confidence and a fear of failure. 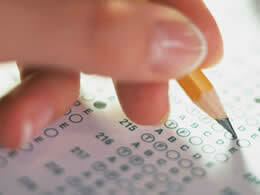 ♣ ARGENTUM NITRICUM: Acute anticipatory anxiety with restlessness, before an exam, an interview or for stage fright. They get so wound up that they may even forget everything when the ordeal comes. ♣ ARSENICUM ALBUM: Anxious, restless and fussy. Dislikes being in a situation where they aren’t in control. Increasingly fussy and critical when anxious. ♣ CALCAREA CARBONICA: Terrible worriers, especially about their health, they worry about catching an infection, especially if there is one going around. ♣ GELSEMIUM SEMPERVIRENS: Anxious and sluggish. Seize up both mentally and physically, becoming almost literally paralyzed with anxiety—dull and dopey—especially before an exam or a public speaking event. ♣ KALI PHOSPHORICUM: Nervous exhaustion’ after a period of anxiety, especially with worrying about relatives. ♣ LYCOPODIUM CLAVATUM: Anxious and lacking in self confidence. Dreads taking on new things (jobs/interviews), exams, driving tests, public-speaking or acting. Irritable & indecisive but when the time comes they shine. ♣ NATRUM MURIATICUM: Anxious socially. Hates parties & gets wound up before an event with lots of people. ♣ NUX VOMICA: Anxious and irritable. 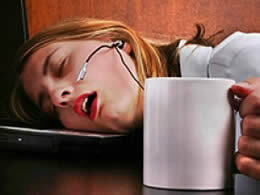 A difficult work period with many worries causes irritability and exhaustion. ♣ SILICA (SILICEA): Anxious with poor self confidence in bashful but strong-willed people. Gets wound up about public speaking because they don’t believe they can perform well enough. 6C and 30C are the most widely available and are the best potencies to use for minor complaints of anxiety. • Take the selected remedy according to the urgency of your symptoms – usually 2 to 6 times daily. • Take the remedy less often (increase the gaps between doses) once it starts to work. • Stop on ‘marked’ improvement & repeat as needed i.e. start again if the same symptoms return. • Reassess your choice of remedy if you have taken it for several days with no response. • Consult your own homeopath before taking anything if you are receiving homeopathic treatment. • Seek the advice of a professional homeopath if your symptoms are chronic (long term) or if it’s hard to work out how you are feeling—it is harder to be objective about your own symptoms if you are stressed emotionally.